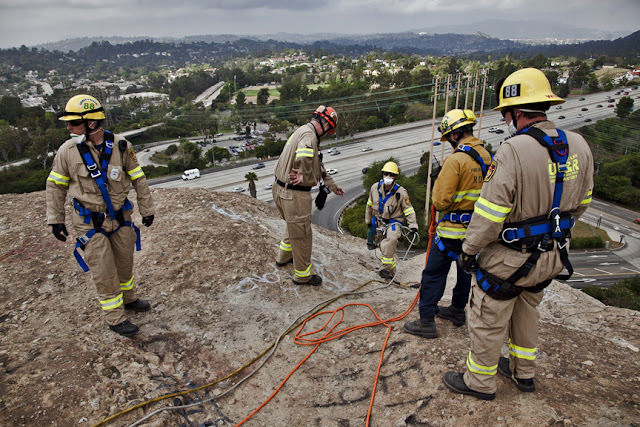 A 14 member crew from L.A.F.D. 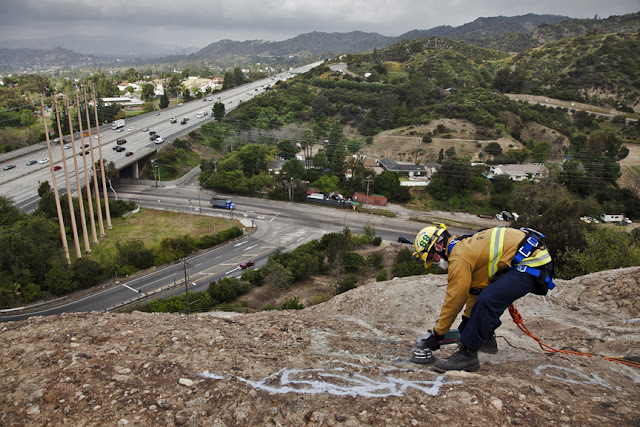 station #88 Urban Search And Rescue grind away graffiti from the Eagle Rock located in northeast L.A. 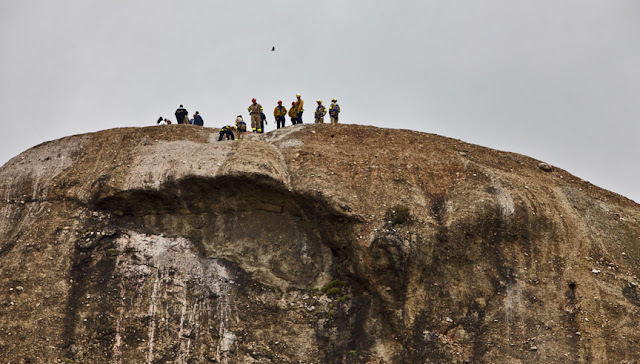 The work was deemed to dangerous for regular graffiti removal crews due to the extreme terrain of the Eagle Rock. 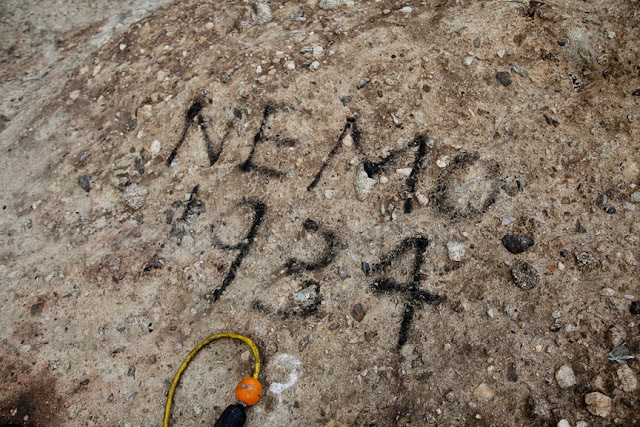 The USAR team tethered themselves with ropes, repelled down the steep face of the rock, and grinded away at the graffiti tags with hand held power tools. Several members of the USAR have assisted at ground zero in NYC, the Katrina disaster in New Orleans, and at the mudslide at La Conchita. This is their first graffiti removal exercise. A hawk flies above the USAR #88 on top of the Eagle Rock. Grinding away at the vandalism. 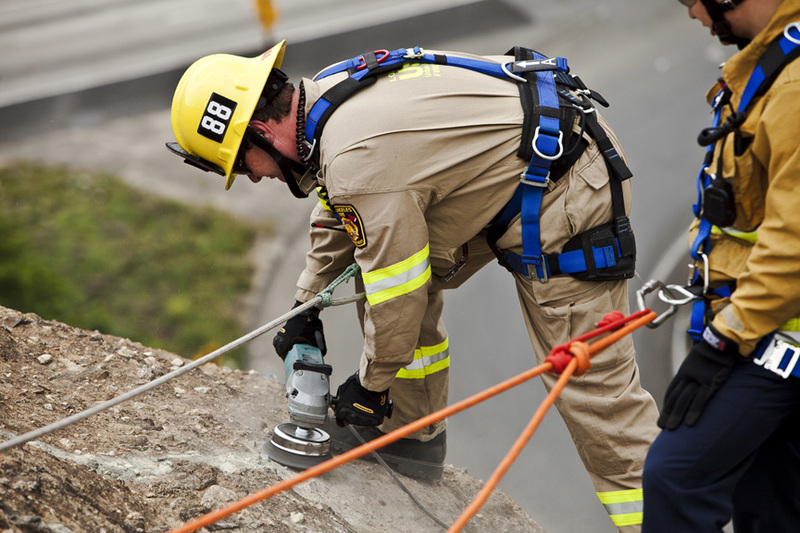 A member of USAR #88. USAR # 88 on top of the Eagle Rock.